Spinning empty storefronts into a sales pitch for JetBlue. 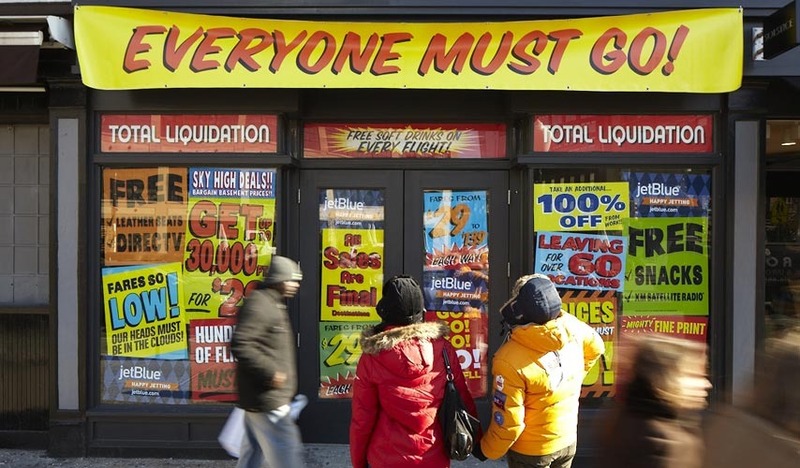 Back when the economy was going to hell, you couldn't go two blocks in New York without seeing another "going out of business" sign. We took advantage of one empty storefront to promote JetBlue's biggest fare sale of the year.